Good morning everyone! It’s finally here! 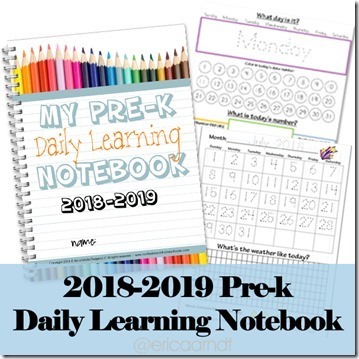 The updated 2018-2019 Preschool Daily Learning Notebook! While the current version runs through the end of August 2018, I’ve had so many requests for next year’s notebook that I decided to release it early! This notebook has the updated traceable calendars for July 2018- August 2019, as well as all a bunch of other goodies. Since I have had a lot of people say they start school in July I went ahead and overlapped the new notebook with last years. I hope that helps some of you out! PLEASE NOTE: The updated Preschool Daily Learning Notebook comes free with purchase of the Letter of the Week curriculum. If you are purchasing that curriculum, you do not need to purchase the Preschool Daily Learning Notebook in addition. If you have an older version of the Letter of the Week curriculum and would like an updated copy of this notebook, you will need to purchase it separately. I made a printable for each weekday, Monday through Friday, with traceable days on it for preschoolers. On this page your preschooler will trace the weekday, find today’s number and color in the circle. Trace the number (I write this in with pencil for her to trace), and then write the number word for the day. Right now I only have her do this when we’re on days one-ten. 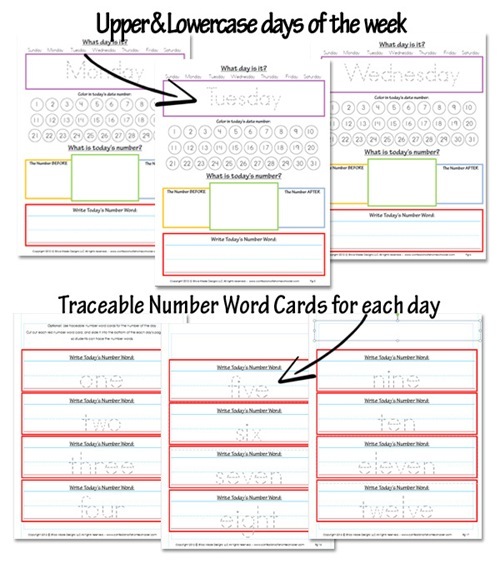 This version includes traceable number word cards to help students that need assistance with spelling out the number words. They can trace the copies until you think they’re ready to try it on their own! 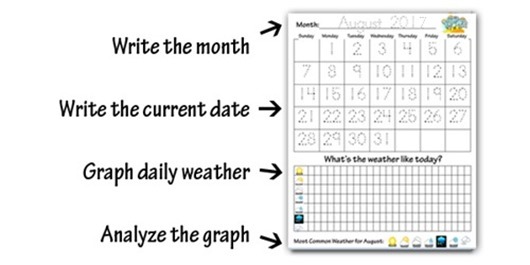 Each month they will trace the month name, then trace in one number per day to fill in the calendar for each month. They’ll also color in a box for the weather. 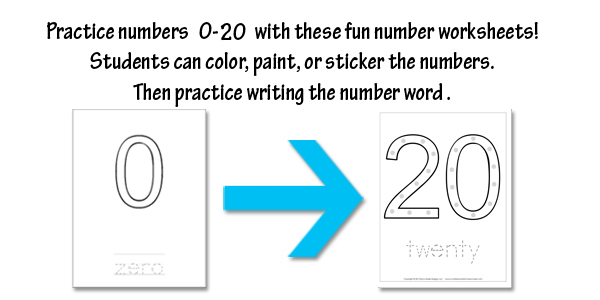 This is great for counting skills, number recognition, and handwriting practice! 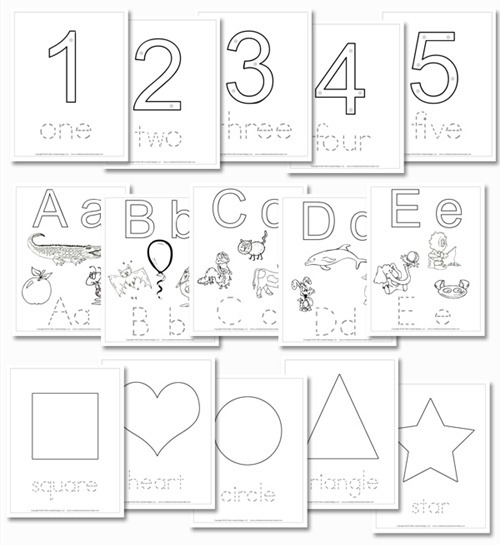 In the preschool version I have also included a numbers recognition worksheet for each day as well. Students can practice tracing inside the number shapes or place stickers on the dots, and practice writing the number word. What would I wear for this temperature? 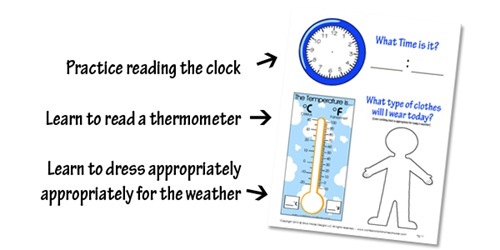 I’ve also included a time, temperature, and clothing worksheet. We have a simple thermometer right outside our front door that we check. Then we come in and color the correct temperature and an appropriate outfit on the paper doll. For more handwriting practice I included an “I can write my name” worksheet. 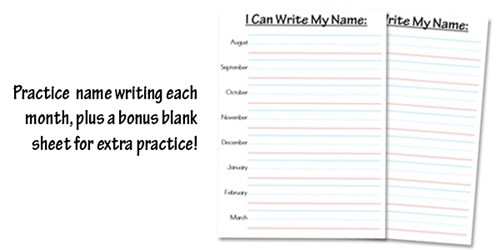 Students can practice writing their name once each month to see their progress, or they can write it as many times as they like for fun! 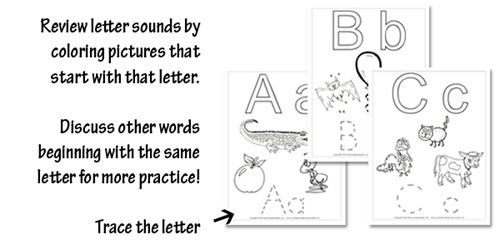 I also added in a blank handwriting worksheet so they can practice their name or letters as many times as needed! 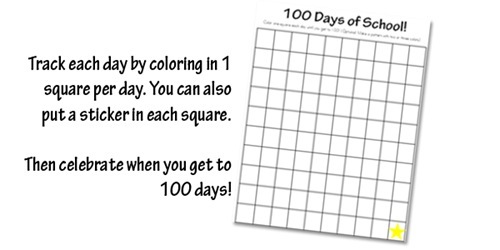 There’s also a 100 days of school tracking sheet to make things more fun! I also added numbers, shapes, and letters to this pack. To help make them easier to find, I put in colored divider tabs so we can flip to the correct spot. For the numbers I put lightly colored dots on each one, I plan to have her put a sticker for each dot on the numbers, then trace the number word. But you can also have them color the shape, or glue the correct amount of objects to it as well. Ready for more of a challenge? Check out my other Daily Learning Notebook versions below! MAC USERS: You will need to Install Adobe Reader, then set it as your default program to open PDF files. This will resolve any weird viewing issues you may have with PDF files. Safari tries to open the file in preview instead of full view which causes issues viewing and printing files. Hope that helps! This is great! Thank you for releasing it early. I like to be prepared and the earlier the better. It is just hard to wait till they start their year. I’m so sorry if this has been asked before! But which pages do you put in page protectors to use dry erase markers? Which page protectors do you use. I look forward to your new version. I have loved and used your Daily Learning Notebooks for years! Thanks Erica! I also have this notebook. Is there anyway to get just the updated Calendar pages? Thanks. Hi! Just wondering what the difference is between the pre-k, k and elementary daily notebook. I did not notice a difference in the samples. Thank you! Hi, thanks for the awesome materials. 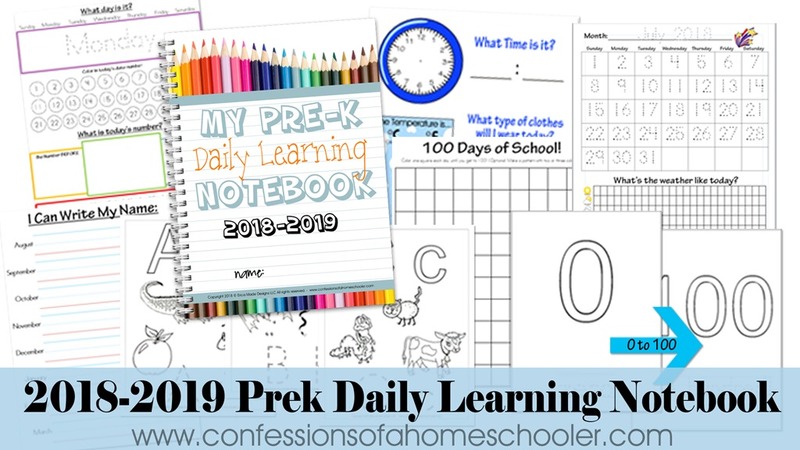 I was wondering, what changes have been made from last years pre-k daily notebook and also what are the main differences between the pre-k one and the kindergarten on? they seem to be the same material? Hi! Will you be releasing a 2019/2020 edition? Yes, they are released annually around May.